Fudge is a happy girl who is always wagging her tail. She can be a little shy around new people, so it can take her a little while to build up a trust, but when she gets to know you her sweet and loving nature shines through. She is a quiet girl who loves having company, and is happy to spend time quietly in her comfy bed as long as someone is around. 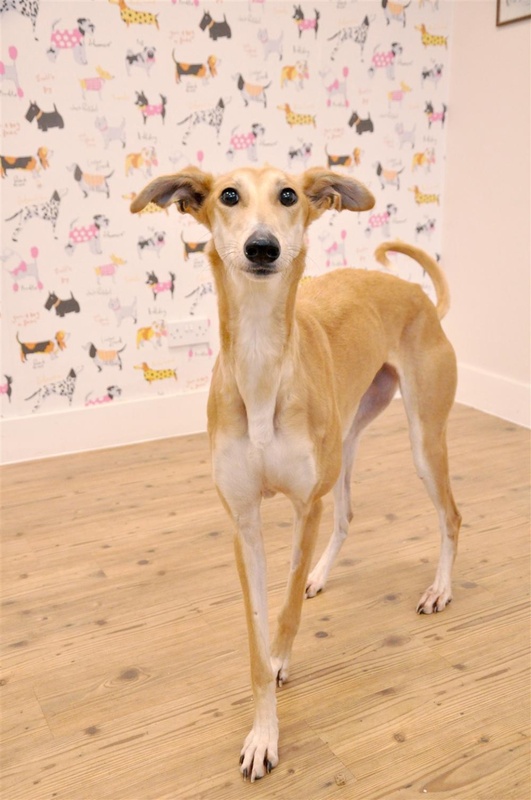 She enjoys going for walks, being made a fuss of, and is always keen to have some cheese or sausage which are her favourite treats. She hasn't had much dog socialisation so would like an owner who is prepared to work with her to build these skills. Fudge would suit a home with older children, where she will be the only dog.